At Jeffs & Jeffs, P.C., we have been helping small- to medium-sized businesses since 1957. Our firm was founded on the principle that the client’s best interests take priority over everything else. 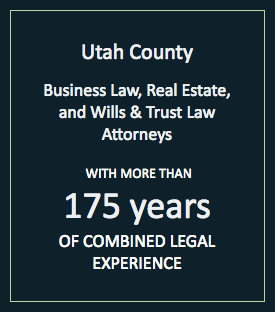 Combined, our Provo business lawyers have more than 175 years of experience. We realize that whether you own a business or are just starting a business, understanding the relevant law can be difficult. We pride ourselves on our ability to explain the law in an easily accessible manner. Let us provide you with sound advice and trustworthy counsel for your next business endeavor. Each lawyer at our Provo firm has the skill, knowledge and experience to assist clients with virtually any aspect related to business and corporate law. In addition to handling business contracts, we can help you with the initial formation of your business. Business formations: When starting a new business, choosing the right model is of the utmost importance. By seeking our advice, you can gain a better understanding of the various business models and which one is best suited for your unique situation. Corporate law: Whether you need help with corporate transactions, shareholder disputes or startup counseling, our dedicated lawyers are here to provide you with professional guidance and support. Contracts and agreements: Before drafting or signing a contract or agreement, you should first consult with a skilled business attorney. This can minimize the chances of conflicts and disputes arising down the road. 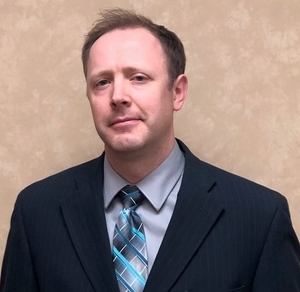 Employment law: Our experienced attorneys at Jeffs & Jeffs, P.C. handle all aspects of employment law including issues regarding wages, discrimination and retaliation. Intellectual property law: We have an in-depth understanding of intellectual property law and can assist you with copyrights, trademarks and patents litigation. Our goal in representing you is to provide you with the information and counsel you need to create and maintain a successful business. Regardless of whether you need help with an employment law matter or assistance with a copyright or trademark, our skilled business lawyers are ready to stand by your side. The family-run law firm of Jeffs & Jeffs, P.C. is proud to provide business law clients with unparalleled guidance in Utah County. If you require experienced legal counsel, please contact us today by phone at 801-373-8848 or via our online form. We have flexible hours, free parking and are located two blocks from the Provo courthouse and one block from the new Latter-Day Saints Historic Provo Temple.